First, get some high-quality, loose-leaf tea. It can be black tea, green tea, or oolong tea. 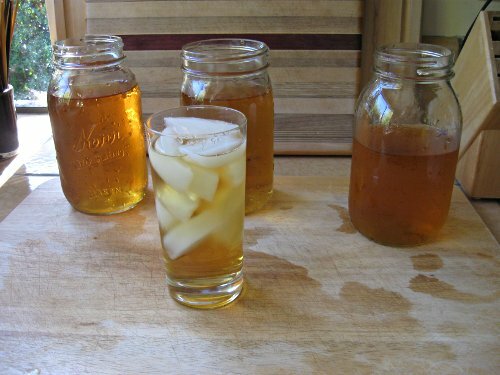 For regular iced tea, I use Earl Grey or a breakfast tea blend. I also like Oolong tea iced. 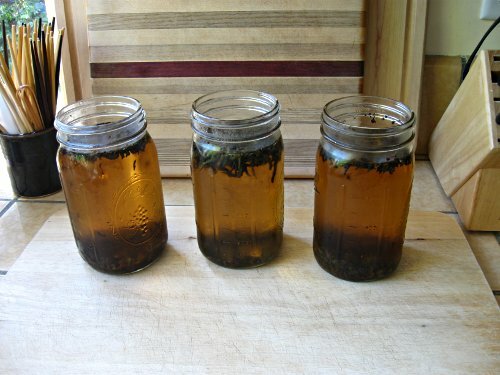 For an iced green tea, try using a gunpowder green. The ratio I use is about 1 heaping teaspoon for every cup (8 oz) of water. 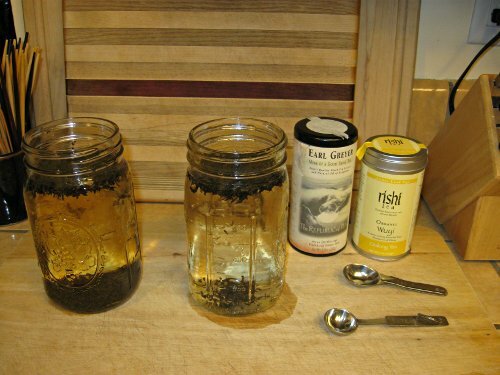 Put cold water in a jar and add the tea. Cover the jars and place them in the refrigerator for 8 to 12 hours. When it's done, strain out the tea leaves and serve. Put the extra tea back in the refrigerator. If you try making it, leave a comment below and let me know if you like it!